Let's be honest, we all love a nice treat once in a while and what better way than treating yourself to some of your favourite sweets? I don't do it often, but when I do I'm super happy, sweets make everything better. The Treat Kitchen very kindly sent me some of their products to try out and devour before their grand store reopening in Highcross, Leicester. My family are a sucker for sweets and we always eat them as soon as we can so I had to leave a threatening note whilst I was out to tell them not to eat them. They found it funny but I was fully serious. 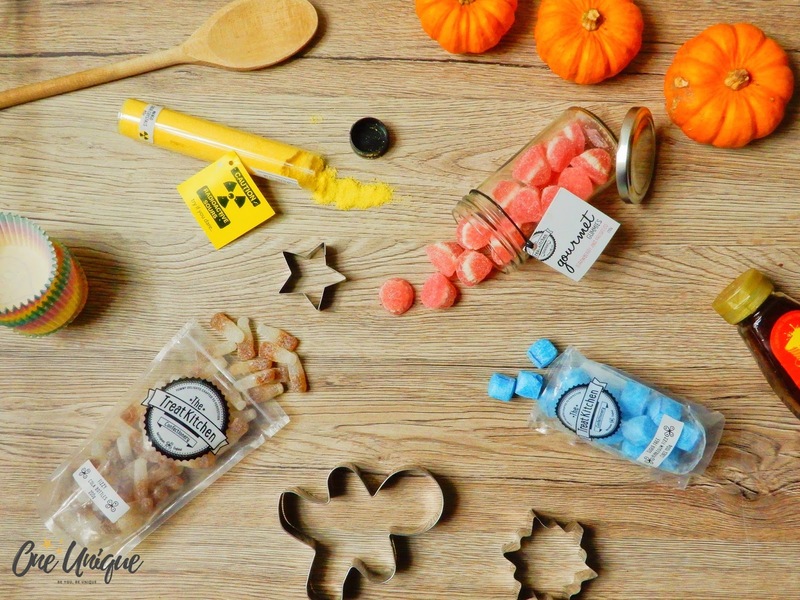 The Treat Kitchen sent over four of their products and I was very happy when I opened the parcel - their store is goals and is a child's dream!!! *insert heart eyes here* They all look so fun, I couldn't wait to open them and try them out. The Treat Kitchen do lots of sweets and confectionary. They do flavoured syrups too so my mum is getting a pumpkin one to make her own pumpkin spice lattes! Starbucks, eat your heart out. I was a bit unsure about these Sugar Free Bubblegum Fizz Cubes - I'm not a big fan of bubblegum. They were fab though because my mum could have them, since she is diabetic. So I pulled in my sister and mum to try some of these sweets with me. My sister thought that these were bonbons at first and she had a surprise when she bit into it. She liked the fact that the taste was instant, yet it wasn't too strong. My mum mentioned that the cube shape was a tad annoying but once you had sucked on it for a while they were prefect! You won't be able to tell that these sweets are sugar free as you're distracted by the fizziness that occurs - it's kind of like Refreshers. They were super fun as they turned your tongue blue too and they last for ages so you don't go through many. 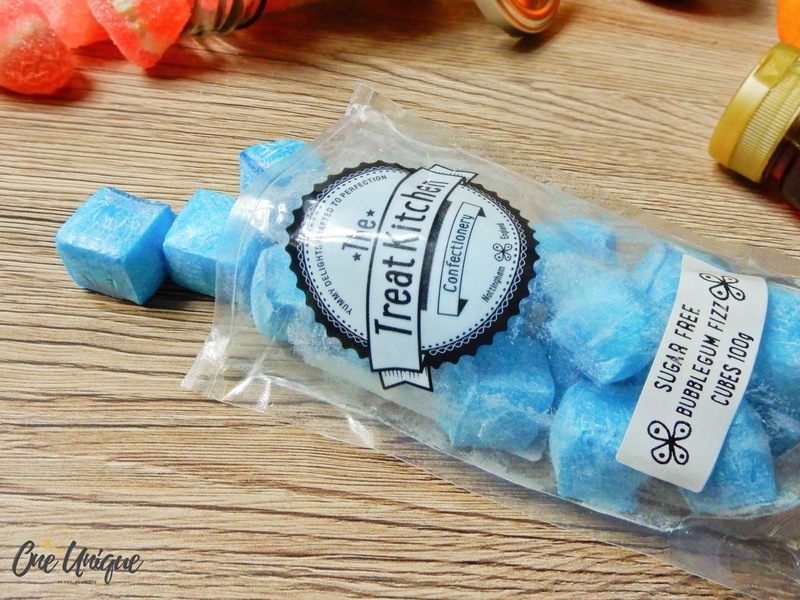 The Treat Kitchen have a lot of sugar free sweets available, you can shop them here. You can find these Sugar Free Bubblegum Fizz Cubes for £2.50 here. I wasn't expecting these beauties in the post. 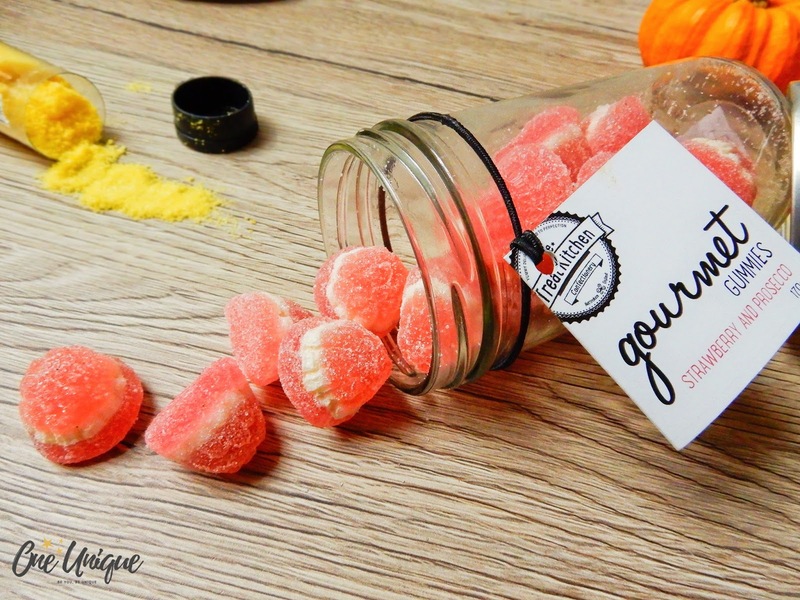 The Gourmet Gummies are flavoured with strawberries and prosecco - you've seriously got to give these a try. I can imagine that all your friends at work would love you if you bought these in, and for only £5.95 a jar, you'll all be taking turns bringing them in. You can purchase them here. The actual texture of the sweets take me back to my childhood, I used to love these gummy sweets. They look absolutely adorable with the pink and white and they smell divine when you open the jar. They taste very nice but there's more prosecco than strawberry flavour in them (which would be fab no doubt for a lot of you). This is perfect for Halloween! 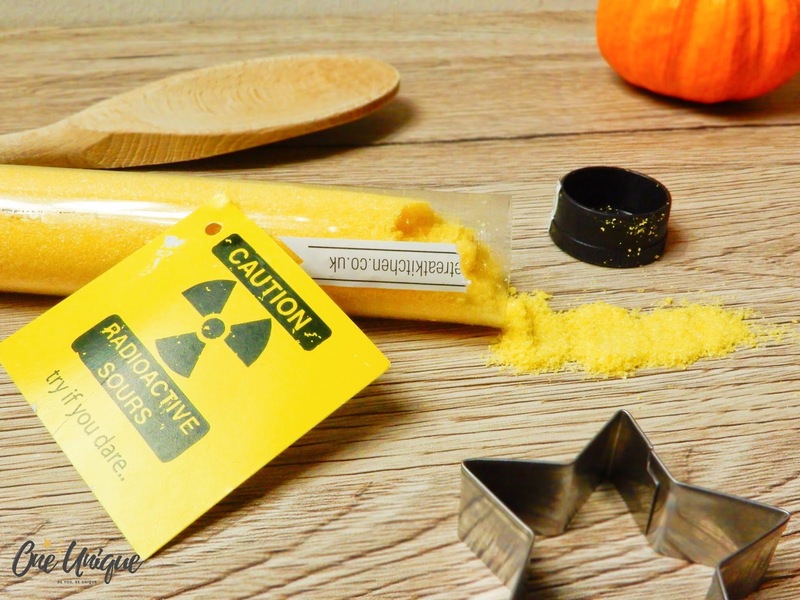 These 'Radioactive Sours' are amazing, they come in 5 different flavours including Strawberry, Watermelon, Blue Raspberry, Rhubarb and Custard and Mango. They look like they come in test tubes, you can also get different flavoured sours in conical flasks which are epic. These would be perfect for a Halloween party. With a small dose, you're not really affected by the sourness. However, eat a lot at once and you'll be pulling the funniest faces! I love how pigmented these mango flavoured crystals are, it adds to the 'TOXIC' effect. This is a great product, we all loved it a lot - there could be more mango flavour though. I'll definitely be buying more of these for Halloween! 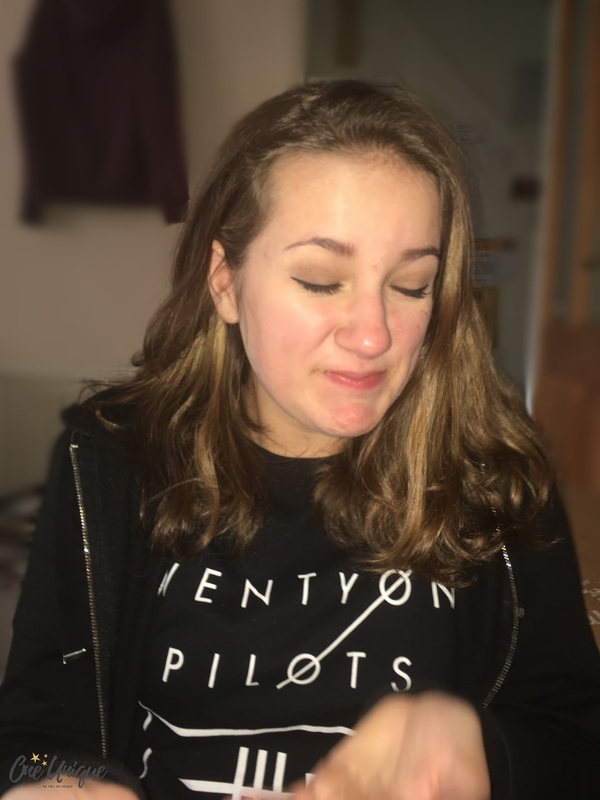 Here's a lovely picture of my sister having a hard time with the sourness of these. And she said 'I'm not affected by sour things'. Don't speak too soon, Hannah. they are delicious!! For £2.50 I'm going in to get some more. You can find them here. Unlike any other fizzy cola bottles, these have a sour kick to them when you first put them in your mouth, I seriously can't get enough of it. They taste so much like cola, it's unbelievable. 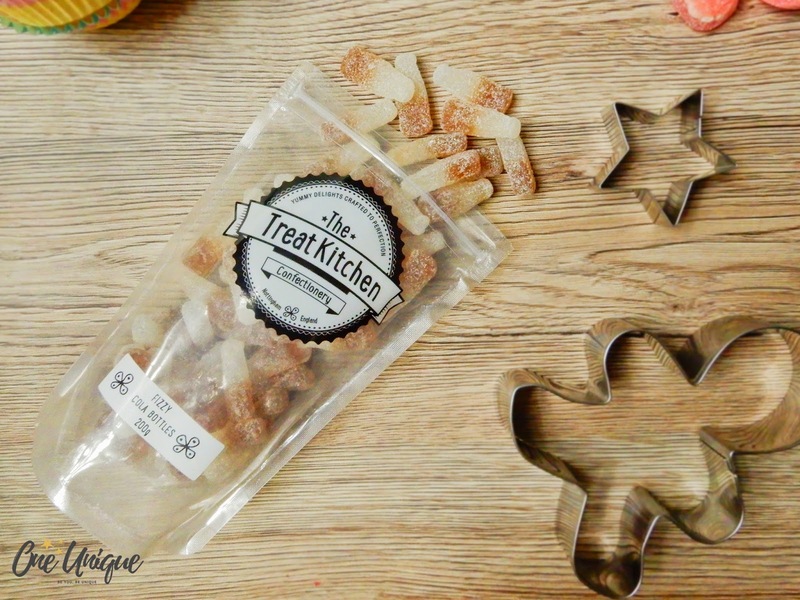 If you're going to try anything from The Treat Kitchen, let the fizzy cola bottle be on the top of your list. You can visit The Treat Kitchen in Derby, Nottingham and Leicester. They do a range of confectionary such as syrups, chocolates, sweets and special confectionary that meet all of the dietary requirements you can think of. You can view their online store here. These products were sent to me, courtesy of The Treat Kitchen, for reviewing purposes. Delightful treats for the kitchen! A must have for those with a sweet tooth. 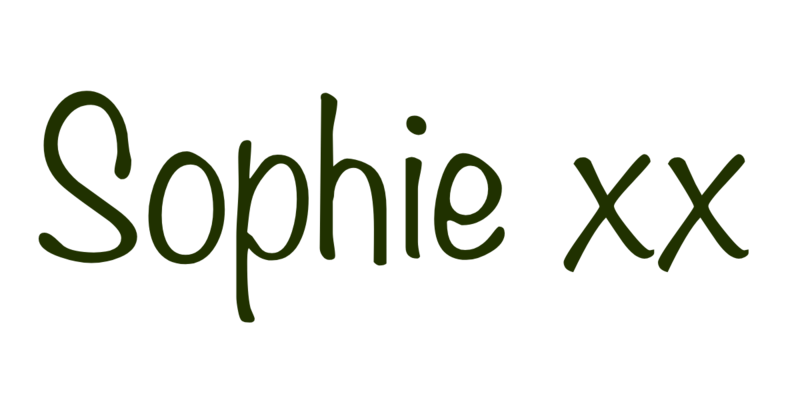 Thank you for sharing, Sophie! omg this was such a lovely post! I loved reading it, and your pictures were gorgeous! they all sound and look delicious! These look so yummy! And your pictures of them are beautiful!